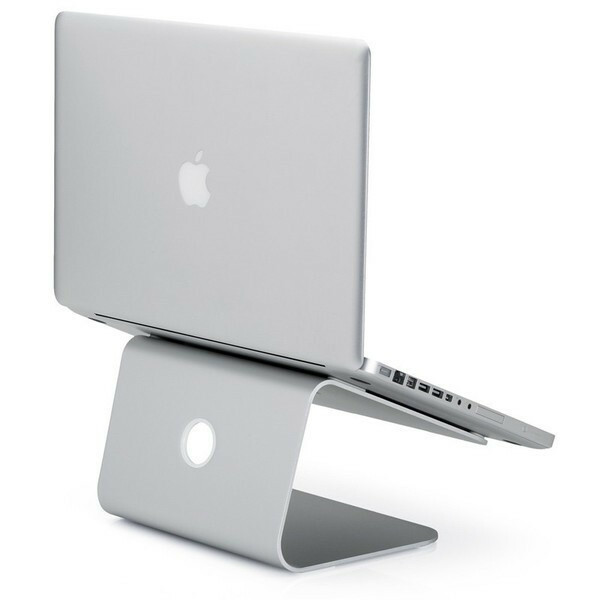 Raises notebook screen height to eye level for better ergonomics. Made of single piece aluminum for solid stability and acts as heat sink to cool laptop. Features cable organizer behind to route wires neatly.